The FAPC stressed the importance of a comprehensive approach as the CMX-15 is planned to incorporate a baseline of Immerse Management tools necessary for conducting the processes within the NATO Crisis Management Process. The conference proceeded with a syndicate work divided in 13 panels. The exercise CMX is designed to implement Alliance crisis management procedures at the strategic political level and will involve civilian and military staffs in Allied capitals, at NATO Headquarters, and in both Strategic Commands. The CMX provides a coherent and integrated training scenario, contributing directly to maintaining the capabilities and structures for the Alliance to meet its level of ambition in a rapidly evolving and uncertain security environment. The CMXs are one element of NATO′s approach to maintaining its operational edge in the light of an anticipated transformation, the pressure on defence budgets, and a greater reliance on the NATO Force Structure. CMX 15 will be an internal command post exercise and no forces will be deployed. Mr. Jean-Dominique Dulière, chief of Crisis Response Systems and Exercises Section, NATO HQ who led the conference expressed his satisfaction with the successful execution and his gratitude to CMDR COE as a host body. He pointed out the importance of the event as a combined decision making effort. 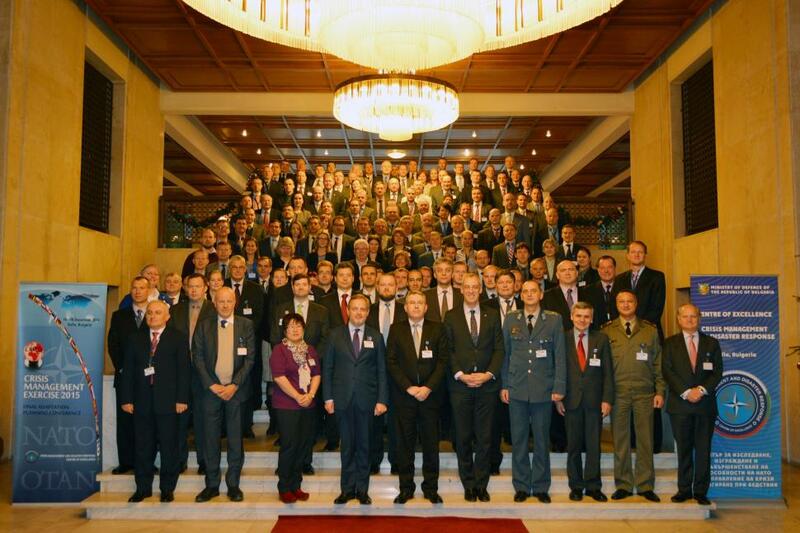 The Conference took place on 16-18 December at the Boyana Residence in Sofia and was last major event for CMDR COE.